To change filters should not be a problem! 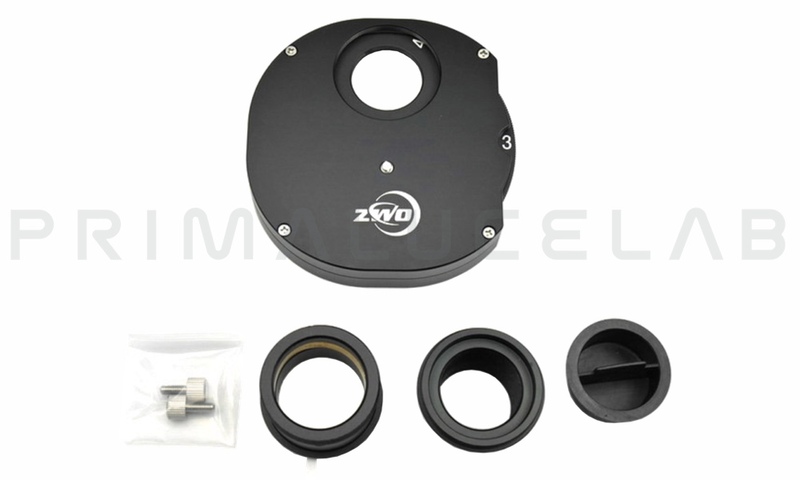 ZWO 5x31,8mm manual filter wheel lets you instantly change the filters without removing every time all the connected accessories! In fact, you can insert up to 5 31.8 mm diameter filters within the filter wheel and leave them installed. To change the filter you just act on the convenient and accurate mechanism that rotates the holder to select the one you want to use. The filter wheel is a handy accessory that allows you to install up to 9 31,8mm diameter filters inside the wheel itself: the filters are screwed and can be left installed. In this way you will not have to remove the camera from the telescope every time you want to change the filter: all you need to act on the comfortable internal mechanism to rotate the holder and select the model you need! Our 9x31,8mm manual filter wheel offers, on the telescope side, a T2 female thread (42x0,75) and comes standard with T2-31,8mm adapter to connect in any 31.8mm diameter focuser. 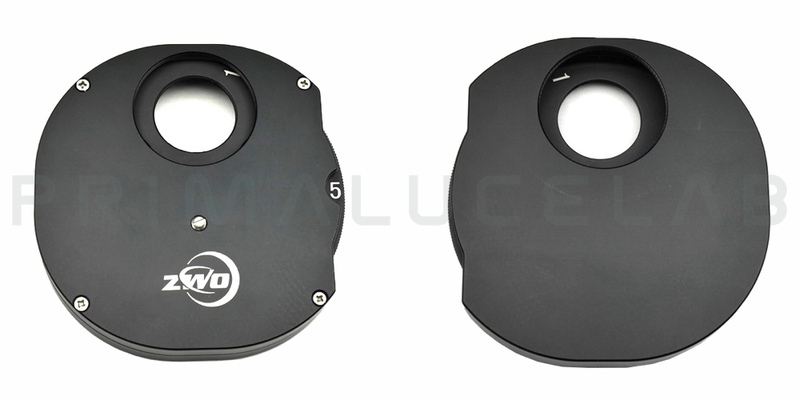 On the camera side, it has a T2 female thread (42x0,75) and it comes with a 31,8mm diameter visual back for accessories connection.